I read a review on this movie that said there are more car bombs in this flick than any other movie he had ever seen. 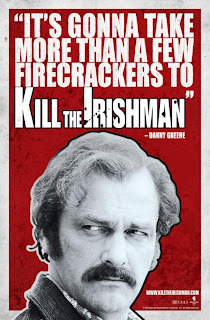 That somewhat sums it up for this dramatization of the rise of real life Cleveland mobster Danny Greene. Ann and I watched the documentary that came with the DVD and was fascinated how the violence was so integral to the telling of Greene's story. I enjoyed the movie and thought that Ray Stevenson did a magnificent job in bringing out the gritty persona of the main character. A few other big time actors, Paul Sorvino and Christopher Walken, had bit parts playing off Greene but their contributions were just anecdotal. The movie was all about the Irish mobster. 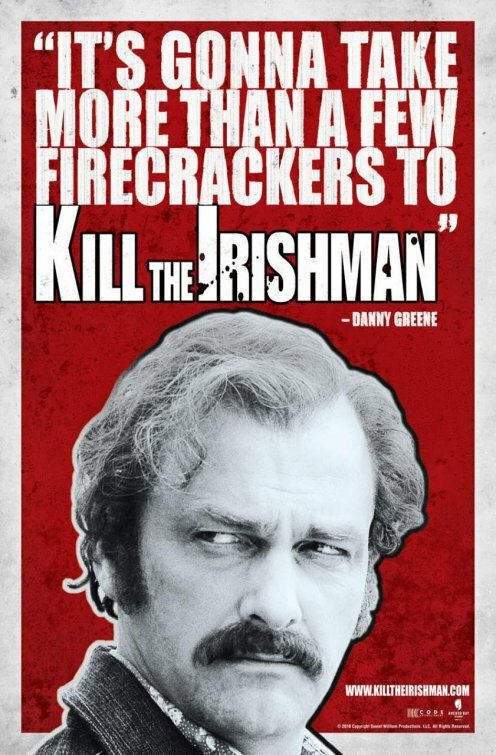 If you enjoy gritty action packed reality based movies and are not put off by "R" rated action (and one risque scene) I think that you might enjoy Kill the Irishman. On a scale of ten I give it ★★★★★★★. Access my movie reviews webpage by clicking on "Movie Reviews" above. Should Capital Gains Tax Rates be Higher? Is this Post is a Waste of Time? What ever happened to cars riding on air? Does God select the President? Popularity is an Accident but Character Endures.